Qatif or Al-Qatif -- also spelled Qateef or Al-Qateef -- is one of the largest and oldest oases in the world, dating back to 3,500 BC in the late Bronze Age, famous for its springs and palm trees and the large Shi’i community that has caused much tension located on the western shore of the Persian Gulf in the Eastern Province of Saudi Arabia. It’s a green oasis surrounded by a jungle of palm trees with rich agricultural soil. Springs are abundant in the Oasis of Qatif, with some springs found in the midst of its waters. On the west lies the Al-Dahna Desert with its golden sands intermingled with small rocky heights, and the Persian Gulf to the east with its warm and calm waters rich of marine life and pearls. Qatif functioned as the main town and port in this region of the Gulf for centuries, and was famous for spear making. 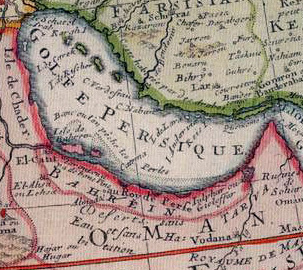 It was called Cateus by the Greeks, and some early European maps labeled the entire present-day Persian Gulf as the «Sea of El Catif». Qatif oasis and the nearby island of Tarout are some of the most interesting tourist and archeological sites in the Kingdom. An amazing site not to be missed is the Tarut Citadel, built over 5000-year old settlements, constructed around 1515 to 1521 AD, with its hidden passages and high towers that were used to protect the city from Portuguese attackers.